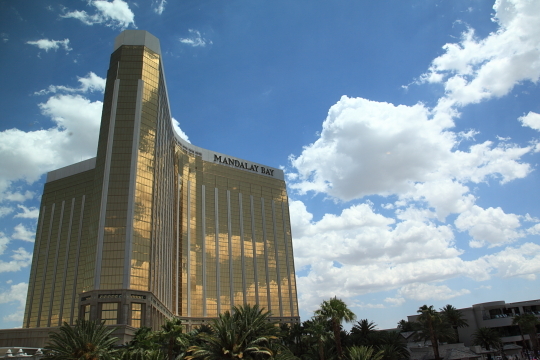 This week’s photo subject is the Mandalay Bay hotel. I shot this last weekend after our trip to the Shark Reef Aquarium. As we walked down the hallway we stopped to look at the impressive water park style pool and luckily I looked up and saw this shot. The clouds were perfect and the reflections just made it all the more spectacular. Can you tell I shot this through a window? Photo Info: Taken with the 5D Mark II at ISO 200, F8 at 1/500 of a second.